Widely accepted as the standard Jamaican Christmas drink, sorrel can be described as a unique thirst-quencher and celebration drink all in one. 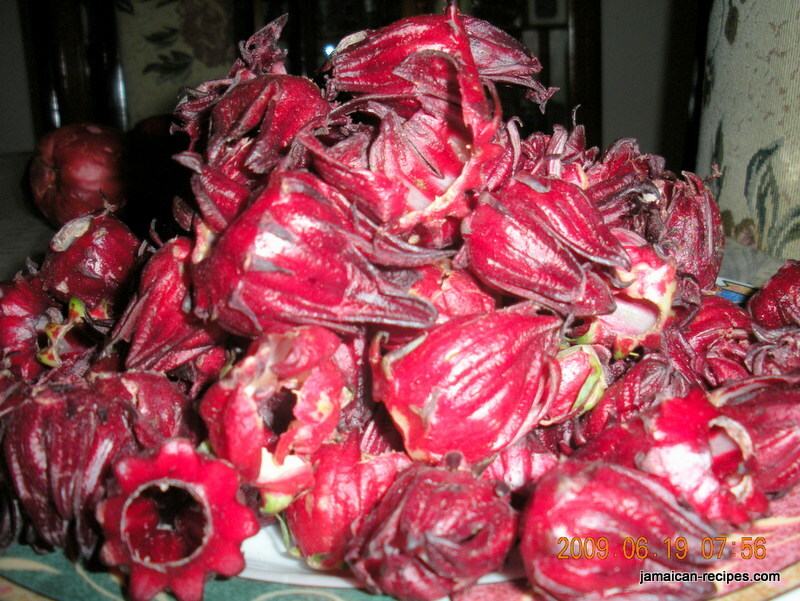 Known in Mexico as Jamaica and other parts of the world as hibiscus, this red flower packed with vitamin C remains the emperor of all yuletide beverages. While we also drink Egg Nog and other drinks during the holiday season, to pass up on a drink or two of sorrel would be sacrilege…Yah Mon! Anyway, sorrel is not only consumed at Christmas anymore. Because of its health benefits and taste, sorrel is now commercialized and sold all over the world. I had always though that this delicious beverage should have been bottled and sold daily for many years. However, I was told that the fruit would only grow during the cool months in Jamaica—October thru December. Little did we know that the rest of the world was gearing up to pass on sorrel as a healthy alternative to sodas and other so-called sports drinks…Yah Mon! Put all the ingredients in a large plastic bowl, large enough to hold 2 gallons of water. In a large pot, bring water to a boil, and then pour water into container with all the ingredients. Steep for about 4 hours. Strain the drink into another large container, discard the remains. Let the solution cool to room to temperature, and then sweeten to taste with sugar. When the drink is cool enough, put the container in the refrigerator to cool overnight. Serve this drink with ice in 8oz. glasses. You may add a little Jamaican White Rum or Red Label Wine to enhance the flavor. I do not recommend using rum if you are going to serve this drink to children. Instead, add a little lemon juice to twist this delicious drink. Nuff said.